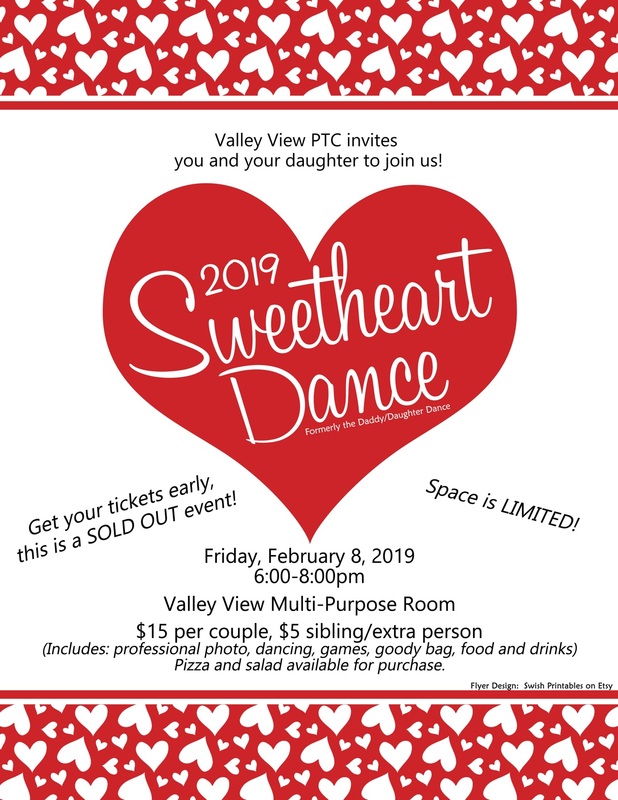 Each year, we host a dance for Valley View girls to bring their favorite adult sweetheart along for a night of dancing! Mark your calendars now for Feb. 8 , 2019 6 p.m. to 8 p.m.! 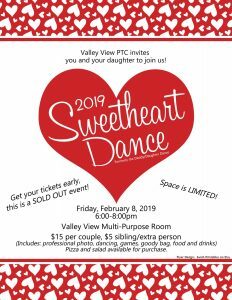 Tickets are on sale now – only in the school office. 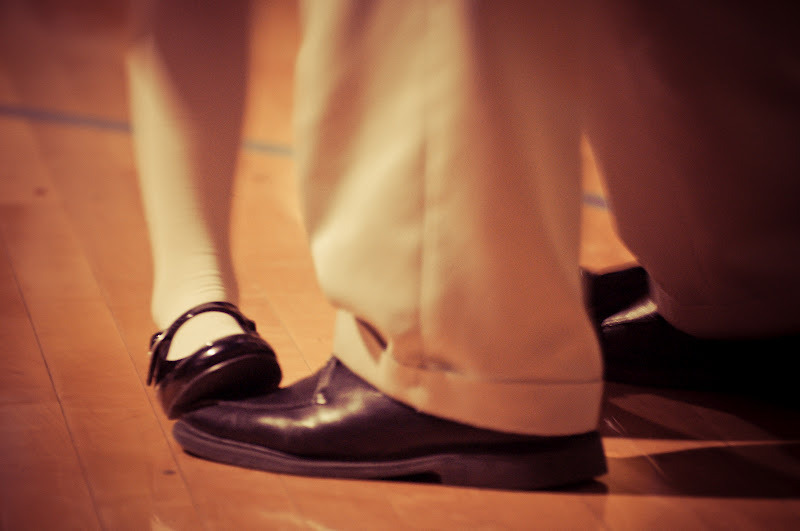 This event sells out every year, so don’t hesitate!